SPRAWLING BRICK RANCH ON 5 ACRES IN SOUTH BUTLER SCHOOL DISTRICT, SPACIOUS LIVING ROOM WITH FLOOR TO CEILING WINDOWS, MAIN LEVEL FAMILY ROOM WITH HARDWOOD FLOORS, STONE FIREPLACE, FRESHLY PAINTED, KITCHEN HAS DOUBLE OVENS, ELECTRIC COOK TOP, DISHWASHER AND MICROWAVE, LARGE MASTER BEDROOM WITH ATTACHED FULL BATH AND WALK IN CLOSET, ADDITIONAL , JUNIOR SUITE WITH BATH AND 2 ADDITIONAL BEDROOMS WITH A SHARED BATH, LARGE LAUNDRY ROOM/ MUD ROOM, SUN ROOM THAT LEADS TO A PRIVATE DECK OVERLOOKING THE BEAUTIFUL TREED LOT, LOWER LEVEL IS TOTALLY FINISHED WITH A DOUBLE SIDED FIREPLACE AND A FULL BATH WITH A WALK IN SHOWER, WALK UP ATTIC STORAGE, 2 STALL OVER SIZED GARAGE IS ATTACHED TO THE HOUSE WITH AN ADDITIONAL 2 BAY SEPERATE GARAGE, BARN STORAGE AND AN ADDITIONAL SHED, BEAUTIFUL SETTING WITH EASY ACCESS TO RT 8 AND RT 356 TO RT 28. I was searching for a Property and found this listing (MLS #1361510). 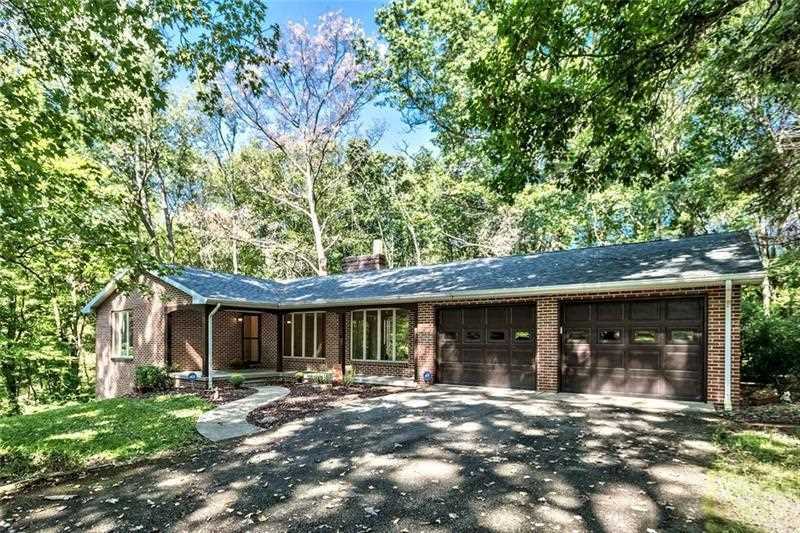 I would like to schedule a showing for 162 Caldwell Dr Butler, PA 16002. Thank you! I was searching for a Property and found this listing (MLS #1361510). Please send me more information regarding 162 Caldwell Dr Butler, PA 16002. Thank you! MLS # 1361510: This property at 162 Caldwell Dr, Butler, PA 16002 is located in the subdivision and is listed for $375,000. MLS # 1361510 has been on the market for 210 days.